Volunteers support our mission all year long! We have a dedicated team of volunteers working in the Boatshop, the Chandlery, and for other programs and events throughout the year, including over 500 volunteers for the Wooden Boat Festival alone. We are always eager to have new folks join us. Explore our volunteer pages to discover ways you can be involved with the Wooden Boat Festival, the Race to Alaska, or year round at the Northwest Maritime Center. Don’t forget to fill out a volunteer application! My name is Beth O’Neal. I have lived in Port Townsend for 22 years and raised my two daughters here. I love being surrounded by the water, marine life, and this charming town. After graduating from massage school in Seattle, I moved to Port Townsend and began to build my own practice. The Wooden Boat Festival is something I have always looked forward to; I loved the great music and checking out the beautiful boats many years before I signed up as a volunteer. My husband, Andi Neisen, took the WSU Beach Watchers class in 2009. He shared what he learned in regards to plastic covering our beaches and… read more. Volunteer in the Wooden Boat Chandlery! Get in on the best volunteer gig in town! If you’re looking for a spot to volunteer where you’re treated like family, this is it. 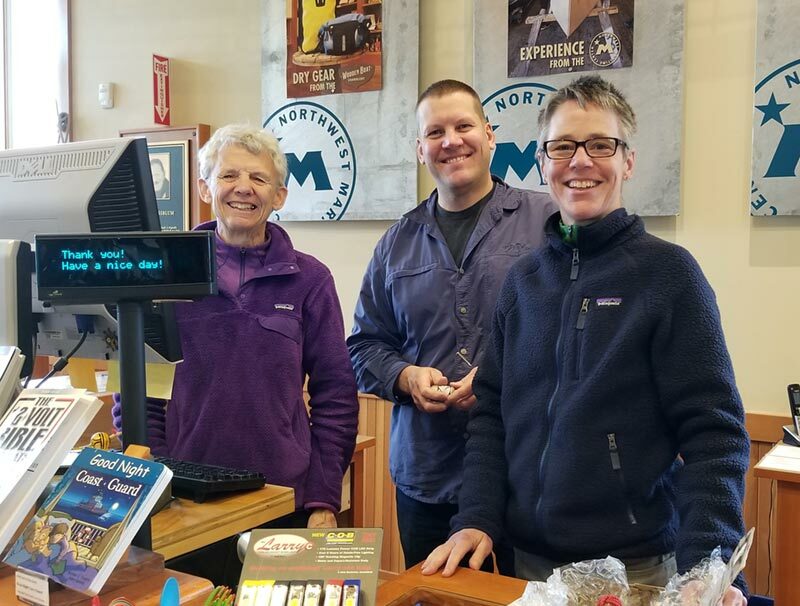 Volunteers in the Chandlery act as ambassadors for the Northwest Maritime Center and help connect visitors with the best outdoor items and apparel. They work on an incredible, fun-loving team of Chandlery staff and other volunteers, and they get to connect with locals and visitor alike. If you enjoy retail, boats, the outdoors, or just chatting with others about our awesome town, you might be a great fit for the Chandlery! If you’re interested, please email volunteer@nwmaritime.org. While our peak season is during the summer, we have a bustling campus year round that relies on the support of our volunteers. Whether you’re interested in helping out in the Boatshop, bartending at an event, salvaging hardware for Marine Thrift, or helping out in the office, we have a place for all skills, interests, and schedule preferences. Take a look below at the volunteer opportunities we have going year round; then fill out a volunteer application to let us know how you want to be involved. Are you a boat nerd or gear head with a few hours to spare each week? Marine Thrift is looking for you! Keep boating affordable, hardware accessible, and contribute to the spirit of the boatyard. Set up your schedule today! Email volunteer@nwmaritime.org or call 360.385.3628 x124 to start volunteering in the heart of Boat Haven. Boats are sometimes donated to the Northwest Maritime Center and need to be transported to Port Townsend. If you have a truck and can tow a boat, or if you can move a boat on the water, please let us know! Volunteers who give tours help connect people with our mission in a very direct way, whether that’s showing someone around our campus as a Maritime Center Docent, giving motor boat tours of the Port Townsend waterfront on Martha J, or showing people our state-of-the-art marine simulator. We need folks with a knowledge of our programs (or a willingness to learn!) who want to represent the Maritime Center to the public. We occasionally need help with our youth programs. You might be assisting with classes and knot-tying demonstrations or helping to maintain youth programs materials (like stenciling PFDs or creating sail demonstration materials). If you love kids and feel passionate about boats and the water, this is for you! From Memorial Day to Labor Day, we’ll be providing rowboats for folks to rent out from the NWMC deck, and we need a handful of volunteers to run the rentals booth. Imagine yourself spending time by the water, chatting with locals and tourists alike, launching and receiving boats, and relaxing on a beautiful, water-front deck during downtime. What more could you want from a volunteer gig? Get hands-on experience in wooden boat maintenance, restoration, and all the things that go with it, while helping to maintain the Wooden Boat Foundation and Northwest Maritime Center boats. Opportunities involve everything from painting boats to tool maintenance and shop cleanup. We are seeking weekly volunteers to register people for our Youth & Adult Maritime Programs. If you enjoy interacting with others in an exciting environment, feel comfortable with computer basics, and have been looking for a way to get involved with the Maritime Center on a weekly basis, this is the opportunity for you! You would be helping people choose classes, using a computer to register class participants, selling memberships, collecting payment, and distributing paperwork for registrants. We need volunteers on these days: Wednesday–Saturday, 10–2 during the summer. Email volunteer@nwmaritime.org or call 360.385.3628 x115 if interested! Interested in something a little more hands-on and have a general knowledge of boats? 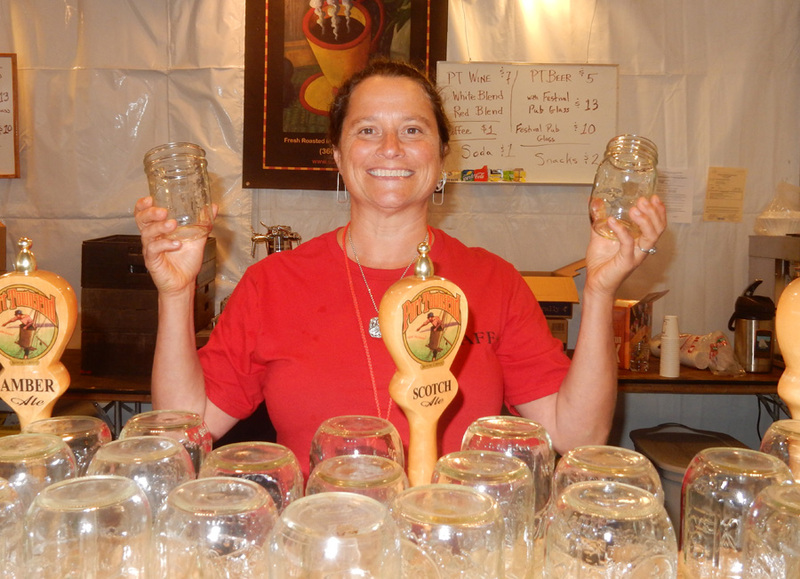 Become a part of our Glean Team! This is an on-call group of volunteers that helps salvage reusable parts from old boats. This position involves irregular hours, so flexibility with scheduling is important. You don’t need to be a boat expert, but you shouldn’t be afraid of a drill, either! Work parties will be once or twice a month, from 1-3 hours each time. You don’t have to have a captain’s license to help us maintain our facility, fleet, and docks! If you love a good day of hard work and enjoy all things boat-related, we could use your help! Facility maintenance tasks include painting, sanding, refurbishing, and more! Boat and docks maintenance tasks include haul-outs, cleaning, and painting, to name a few! Any necessary training, tools, and safety equipment will be provided. Help our librarian catalog, organize, and maintain books in our growing library, as well as help members access information. We sometimes need folks with extensive boating experience to help us out with various on-the-water jobs. This could mean helping to transport a boat, giving waterfront tours, or even supporting our regattas, the Wooden Boat Festival, or the Race to Alaska. Each year the Wooden Boat Festival draws thousands of people from all over the world, who attend the presentations at the Northwest Maritime Center. The experts assembled for this event know the Northwest Maritime Center is a great venue with a state-of-the-art audio/video system, and have come to rely on the AV Team to run all of their events, from simple PowerPoint presentations to feature movie presentations and multi-media panel discussions. In addition, the NWMC hosts speakers throughout the year that rely on the AV team’s knowledge and expertise. You don’t need any experience to join the AV team, just an interest in AV and a willingness to learn! Our AV captain will teach you all you need to know. Already submitted your 2019 volunteer application, signed the waiver, and just need to update your information? Click here to do so. We’d love to help make volunteering easy for you. Call our volunteer coordinator at 360.385.3628 x124 or email volunteer@nwmaritime.org.